3-D Monster: Best Wedding... EVER! 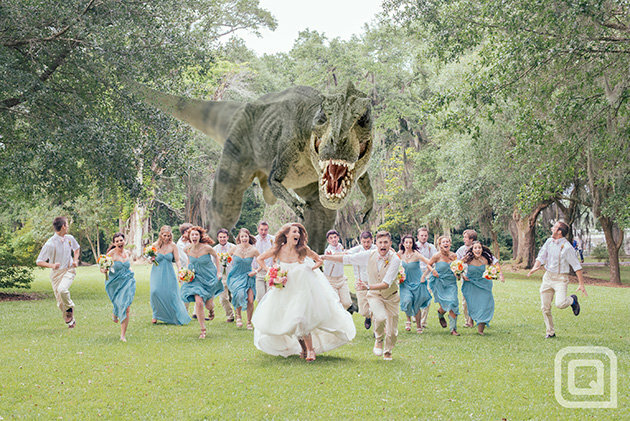 Conceived by Louisiana photographer Quinn Miller for his friend James Lowder's wedding to Katie Young at The Myrtles Plantation in St. Francisville, Louisiana on Sunday, the image shows the terrified bridal party being chased by a massive T-Rex.